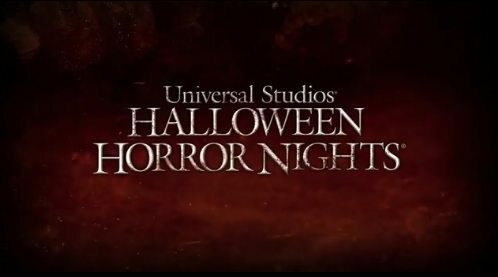 See the 2018 Universal Studios Halloween Horror Nights. New mazes and scare zones for your Halloween terror. Halloween in Southern California wouldn’t be the same with Universal Studios Halloween Horror Nights. These horror filled nights are back again, and guaranteed to scare you. This is a special ticket evening event on select nights from September 14 - November 3 2018. 2018 Universal Studios Halloween Horror Nights offers a variety of mazes and attractions. Universal Studios Halloween Horror Nights are a night time event at Universal Studios Hollywood. Trust Hollywood to put on the most terrifying Halloween event in Los Angeles. Walk through the haunted attractions and intense scare zones. Watch out for roaming scare-actors. Enjoy the nightmare rides, shows and attractions all designed to scare you to death. When is Universal Studios Halloween Horror Nights? Approximately 25 days in September, October and sometimes early November, per the table below. You can save money if you purchase your tickets in advance online for some nights. These tickets will sell out so buy early. If you want the Front of the Line Universal Express pass, or a VIP Experience, these tickets are very limited so buy early. The Day / Night Combo works if you arrive after 2 PM. While the event officially starts at 7 PM, if you buy tickets online you can get in early at 5 PM and enjoy more terror with shorter lines. Which are the best nights to go? The first nights in September are the best. Thursday and Sunday are also good nights to go to beat the lines. You can also pay extra and buy different passes, such as Universal Express where you get one-time express access to each maze, ride and seated show; or the After 2 PM Day/Night combo. Other packages available - see their website. This event is recommended for ages 13 and older only. No, only Universal Studios actors may wear costumes. Are the Universal Studios rides open during Halloween horror nights? Some rides and attractions will remain open for the nighttime Halloween Horror Nights experience. Some rides are NOT open during the event. Check the website if this is important to you. Do I have to buy both a regular daytime ticket and Halloween horror night ticket? Can I stay for Halloween horror night if I'm there during the day? This event requires a separate ticket. You can purchase a day-night combo pass if you like and arrive after 2 PM and stay all night. If you have an annual pass you must still buy a ticket for Halloween horror night, but you will get a discount if you enter your annual pass bar code online. Where can I get more information or buy tickets online?